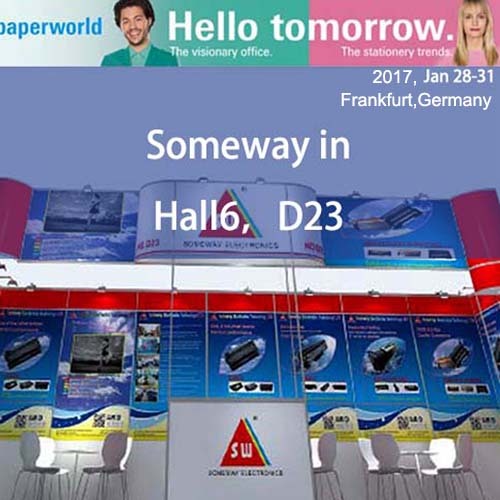 In Hall 6.0 you will find a comprehensive product range, from both OEM providers and the recycling industry, covering every aspect of printing and copying. The spectrum runs from products for remanufacturing laser and ink cartridges, to toners and inks, to individual components such as OPCs. Providers of collection and recycling services will also be exhibiting here. Paperworld is the world's leading international trade fair for stationery, office supplies and writing instruments. The Paperworld range is unique internationally in breadth and depth. Split into Office and Stationery, Paperworld is the ideal orientation venue for the trade and a highly efficient display area for you. In 2016, 34,033 specialist supplier and commercial buyers from around 139 countries came to Frankfurt am Main to see the range of products offered by 1,607 exhibitors. Your competitive edge for the future. Be there in 2017!